By Wesley Fenlon on Dec. 2, 2013 at 10:30 a.m.
Graphic artist Harvey Ball created the original smiley face icon in about 10 minutes. He never licensed his design. $45. 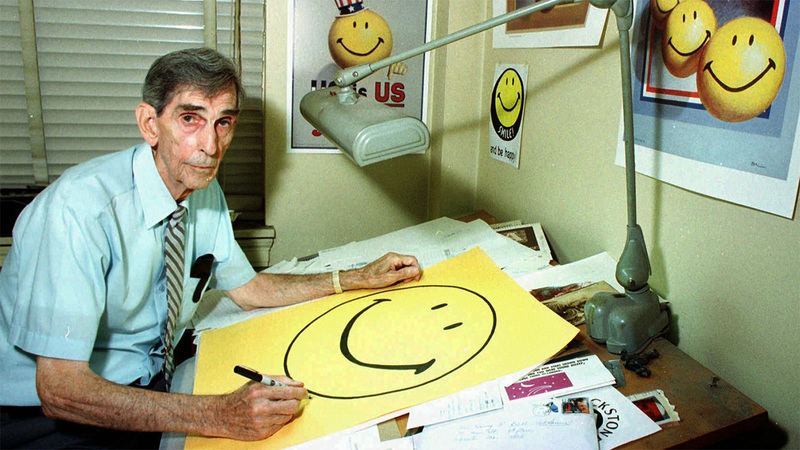 That's how much the creator of the famous yellow smiley face was paid for his work, which took about ten minutes of drawing. In late 1963, graphic designer Harvey Ball drew a crude freehand smile, then added a pair of eyes to make a more complete image. 50 years later, that image has been printed onto millions of buttons and stickers and t-shirts. It makes the Smiley Company millions of dollars per year. And Harvey Ball was paid $45 for it. For years, it was unclear who invented the famous smiley face. No one believed Forrest Gump's version--that a hapless t-shirt salesman got the design from a muddy shirt Gump wiped his face with--but there were plenty of people who claimed credit for the design. The Straight Dope tracked the smiley's history back in the 1990s, discrediting some of the claimants to the smiley throne. There's a good reason for all the confusion: While Ball created the original design, he wasn't the one who made it an enduring cultural icon. "The smiley face craze, though not the smiley itself, was the work of two brothers in Philadelphia, Bernard and Murray Spain, who were in the business of making would-be fad items," writes The Straight Dope. "In September of 1970 (Bernard says 1969, but I suspect he's misremembering), they were casting about for some peace symbol-like item with more general appeal, and recalled the smiley faces that had been floating around for years in the advertising business...Bernard dashed off a smiley face, Murray added the slogan "Have a happy day," and soon they and their many imitators were cranking out buttons, posters, greeting cards, shirts, bumper stickers, cookie jars, earrings, bracelets, key chains, and more. The fad lasted about a year and half; the number of smiley buttons produced by 1972 was estimated at 50 million." Ball created his design for the State Mutual Life Assurance Company of America. The insurance company wanted to help assuage low employee morale after some difficult mergers and reorganizations, and asked Ball to create a simle smile design they could use for buttons. So Ball made the smiley face, and the insurance company printed a conservative 100. The happy yellow buttons proved so popular, State Mutual Life Insurance started ordering them in lots of 10,000. Ball had nothing to do with the design after his ten minute sketch. The popularity of those buttons is likely what led the Spain brothers to produce smiley paraphernalia for the mass market. The insurance company never sought a trademark or copyright for the design, which is why the Spain brothers were able to produce and sell their own. They also took credit for the smiley in 1971, when they appeared on the television show What's My Line. And they weren't the only ones making a big buck on the smiley. "In 1972 French journalist Franklin Loufrani became the first person to register the mark for commercial use when he started using it to highlight the rare instances of good news in the newspaper France Soir," writes Smithsonian Mag. "Subsequently, he trademarked the smile, dubbed simply 'Smiley,' in over 100 countries and launched the Smiley Company by selling smiley T-shirt transfers. "In 1996, Loufrani’s son Nicolas took over the family business and transformed it into an empire. 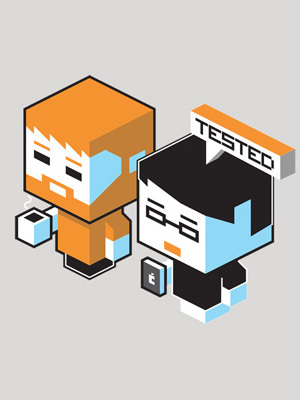 He formalized the mark with a style guide and further distributed it through global licensing agreements including, perhaps most notably, some of the earliest graphic emoticons. Today, the Smiley Company makes more than $130 million a year and is one of the top 100 licensing companies of the world." The younger Loufrani argues that the smiley is too basic, too generic, to credit to only one creator. But the fact remains that the Smiley Company's icon is nearly identical to Ball's. And sure, the smiley face existed before that. But the one we all know, with the unmistakable dimples on each end of that wide smile? Despite any claims to the contrary, as The Straight Dope has vetted, that smile was drawn for the first time in December 1963.